On August 17–26 the 23rd city festival Art Goes Kapakka will be held in Helsinki’s most exciting pubs, bars, cafés and restaurants. On August 20, 2017, in the Katajanokka district, the Wellamo restaurant will feature musicians Tuulikki Bartosik (Estonia) and Timo Alakotila (Finland). Tuulikki Bartosik is a bright and versatile musician whose songs are played from Great Britain to Australia. A wide Nordic world-view, an excellent instrument handling skills, the combining of new and old in an extremely unique way are just some keywords that describe Bartosik’s musical compositions. 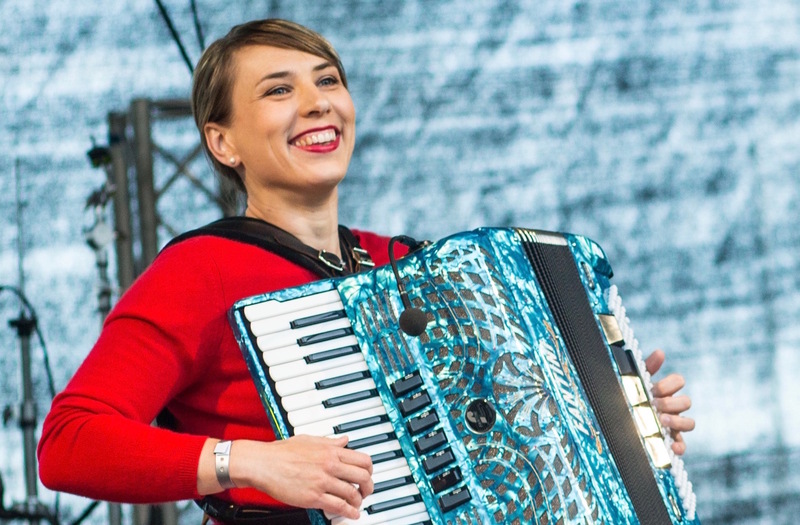 Tuulikki Bartosik is a female accordionist who crosses the genre lines and with her direct improvisational performances, is convincing both as a symphony orchestra soloist on a grand stage and at home concerts. Timo Alakotila is one of the most active and famous pianists, composers and arrangers in Finland. His collaboration with countless musicians and ensembles has led to international recognition and concert tours throughout Europe, North America and Japan. Timo Alakotila’s innovative approach to folk music has also had a significant impact on Estonian folk musicians, in particular, due to the arrangement, composing and accompaniment master classes under his supervision at the University of Tartu Viljandi Culture Academy and the Estonian Academy of Music and Theatre. Timo Alakotila’s collaboration with Tuulikki Bartosiki dates back to 1995 and culminated with Tuulikki Bartosik’s authorial album Storied Sounds that was released in spring 2016.